The Primary Program aims to let the children blossom in a stress free environment. It gives a strong foundation to the children based on moral values. The overall grooming program created on the ‘Do & learn’ curriculum enables our children in becoming creative, confident and independent learners. The essential goal of the Primary Program is to have each child become an independent learner while valuing the interdependence in the world. 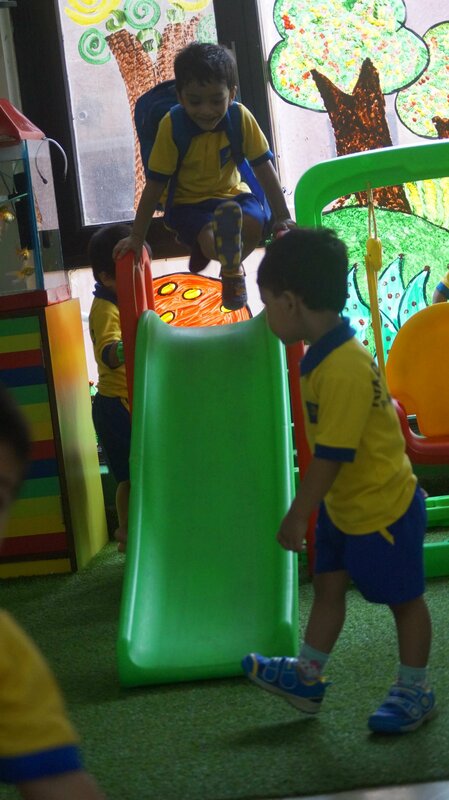 The learning journey is full of fun filled activities like puppetry, story enactment, music and dance. Innovative methods of teaching motivate the children to excel in every sphere. To create an effective impact, there is focus on the dual methodology of imparting knowledge where parents play an important role in the child’s development. Regular parent-teacher meetings, orientation programs and informal interaction helps the children bring out their best.